You don’t know your website until you know your domain name, title pages, keywords, headers, URLs, and content. Your website is your virtual store. If people don’t know how to find you, you are not going to have very many online sales. We need people to find you and once they do we need them to stay on your site so that they can come to a point where they make a buying decision and select a product and proceed to the checkout page. Everyone desires to have a great and aesthetically pleasing website, but it takes more than that to drive traffic and sales. In this article, we take a closer look at the dynamics of your website that you need to pay attention to. 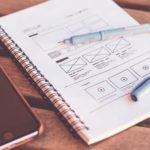 If you pay attention to the details that we are going disclose in the following paragraphs you will never look at your website the same again. Let’s find out how we can get your website to close the deal! Ok, you have your product, and you have everything in place, and you’re waiting for your first order to come through on your site. 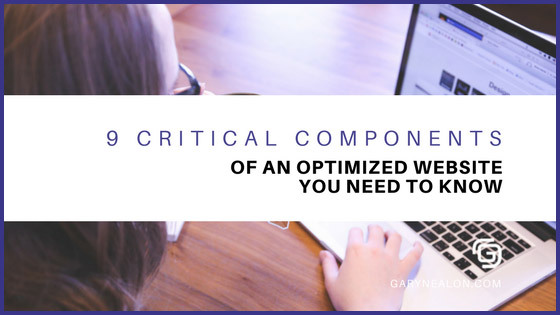 Without optimizing your site, you simply have content at an address on the internet. A good website is like having company over for dinner. You want them to feel comfortable, welcomed and enjoyed their visit. With the site, you are also looking them to have a quality experience on your site. Hopefully, they will sign up on your email list, inquire for more information or make a purchase. Ultimately if they don’t make a buying decision today, you want them to come back again at a later time. Your website needs to get the attention of the search engines. To get their attention, there are several techniques you can use so that if someone is searching for a product in your niche there is a high probability that they will find you and not someone else and more importantly they will select your site over someone else. You will be amazed at how much you can learn about your website just by doing this simple exercise. Be forewarned that in doing so you may expose some promises that your web design team or web developer may not have kept or fulfilled. The results could create some interesting conversations. Another advantage of looking up your sites grade is if you are considering hiring some outside help, you will be able to have some insider knowledge when negotiating and clarifying services. You also won’t be blindsided by “shiny object” hype during the sales presentation. In other words when they start talking about all the bells and whistles and what they are going to do for your website you can ask them intelligent questions to see if they know what they are talking about because after studying this material you will! Most business owners have not considered doing a website grade or audit. The best way to look at this is it’s like taking your website to the doctor for a physical. Once we diagnose what your site is lacking and not doing well, we can recommend solutions. What you find on these sites are areas to look for when grading your website. A few of these keys will be covered in detail in the following steps. In future posts, we will discuss additional tips on other measures you can take to optimize your site. One factor that is important is load speed of your pages. Go to tools.pingdom.com to see how fast your website loads. If people have to wait for your site to load, they may run out of patience and bounce to another site. The steps we discuss below are a good starting place and create the foundation for a well-optimized site. Your domain name is your billboard to the internet. Ideally, domain names should be 20 characters or less. This is so that your audience can remember your name easily. They are also easier to share and reduce the possibility of typos. 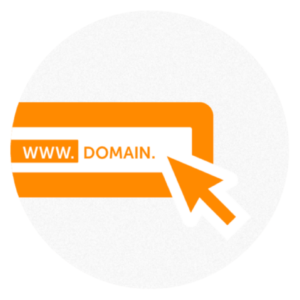 If it is possible to select a keyword to put into the domain name. 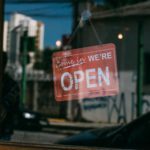 In today’s marketplace, savvy business owners consider keywords when considering their business name. If you are already an established business and have a domain name, then focus on other areas of your site that will increase rankability. Although it is not illegal to use hyphens in a domain name, it is considered somewhat spammy, so it is best to think of a domain name that is 1 to 3 words and not use the hyphens. Also, it is recommended to stick with top level domains like .com. If other TLD’s (top level domains) are available you may purchase them and then link them to your main site as a means to increase traffic. Your domain name is going to be at the beginning of every page on your website, so you want to make sure it is relevant to your business name, product or service you sell and the brand you are creating. URL means Uniform Resource Locator. It is the unique address that is assigned to a file or web page accessible on the internet. The ultimate goal of a great URL title is so that you can rank higher in search engine results. As you are mapping out your site make sure that you include an XML sitemap. This page lists all of the pages / URLs that are located on your website. This page helps the search engines index your site. Keep in mind there are two types of naming for URLs. Static – is an URL that does not change and usually does not have any URL Parameters. Dynamic – is an URL for a web page that has content stored in a database and is pulled for display on pages on demand. In nontechnical terms, your URL is the text after and between the “/” sign. Typically your Static URL’s are going to be all your page titles, and Dynamic URL’s would be product descriptions and blog posts. 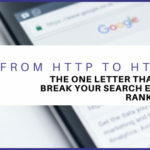 There are varied opinions on the importance and relevance of titling URLs amongst web developers and professionals that focus on SEO. It can be very easy to get caught up in the technicalities of this discussion. A good rule of thumb is that the easier an URL is to read for a human the easier it is for a search engine to read. In other words, if the only thing you can see is the address bar, you should be able to know what page of the site you are on simply by reading the address bar. For example, if my URL is www.urlexample.com/blog, when I read the address bar I know I am on the blog of urlexample.com. 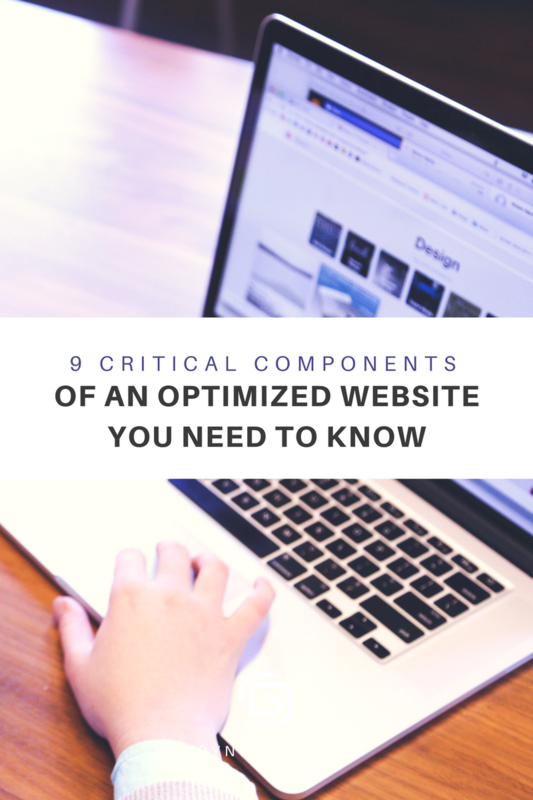 Below are a few tips on making sure your URLS are contributing to the optimization of your website. Use some keywords in your URL naming. Move towards shorter URLs 50 to 60 characters to favor user experience. Match the URL titles to the Page title as much as possible. Avoiding stop words such as “and, but, for of, or, the, etc.” unless it makes the URL more readable. Consider Clarity and length when deciding. Keep you redirects to two or fewer. Fewer folders are better; it avoids confusion and site depth perception. Case sensitivity, if not considered may result in “404 not found”. Use hyphens and underscores as opposed to spaces when titling. Don’t make your page look spammy by overstuffing with keywords. Keywords are keywords and phrases inside your website that allow you, and your customers to find your site through the search engines. Ideally the keywords you select should speak the same language as your client. You need to choose your keywords carefully to assure that your customers can find you on the web, even if they have never heard or you before. Your keywords must accomplish two tasks. First, they must correspond with what your customers are seeking and secondly, they must be in alignment of what the search engines (notably Google) are thinking. When these two line up then you keywords that will drive traffic to your site, increase conversions and you will ultimately see an increase your bottom line. 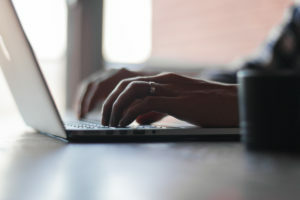 Here are five suggestions for selecting keywords to use to make sure they get the attention of the search engines and drive traffic to your site. To start to make a list of important and relevant topics of your business. If you only sell one product then make it about the product. Take advantage of free online keyword tools. Tools such as Google Keyword tool (you will need to set up a Google Adwords account to do this) and other tools such as http://www.keywordtool.io These two sites alone should give you more than enough ideas on the types of keywords you need to incorporate into your site. Choose keywords that relate to the content on the webpage or website. Your keywords should. Once you believe you have the right keywords you want to use, plug those words into Google or Bing or Yahoo and see what the top 3 sites in each engine are. Study them and see what keywords they are using. Try these other free sites to begin to obtain a list of search engine friendly keywords that will help your site. Once you have a sizeable list of keywords that are pertinent to your product and service you can start building around them to strengthen the readability of your site by the search engines. Your title page is one of the most important elements in the optimization of your web page. The page title is meant to be an accurate and attention getting description of the page’s content. It is like the title of a great book or advertisement. If your audience likes the title, they will continue to read the content. Your title tag will also be listed as the anchor text when being shared on other websites and various social media sites as well. In addition to that, it will also be on the tab of your browser. In regards to page titles, you must Be Specific, make each page title unique, be compelling. 70 characters are the last known cut off Google uses. If it is feasible and it makes sense use your company name at the front of each title. Avoid using multiple variations of similar keyword phrases. Meta tags are an often overlooked necessity for your website that needs to be addressed. Meta tags are the information that a potential customer will see before they decide to continue to your site. The meta description is the one or two sentences below the blue link to your website. One way to view this is this information is a very brief sales letter intended to get visitors to your site. Below are five things to consider when drafting your meta description. Reduce meta descriptions to 155 characters in length and include keywords once. Think as the customer would. They have a need, and they have found your link, now what can you say to get them to click the link. Provide a solution that they are looking for in the description. Give them a valid reason to click through. It all depends on what you are selling or offering. Be sure to make the content of the meta description relevant to what the link offers. You do not want the searcher to click thru and then leave right way. Be unique and distinct. Once you know your keywords, type them into the search engine and study the meta descriptions of the top 3 website links. The ultimate goal of the meta description is to get your future customer to click your link as opposed to a competitor’s site. 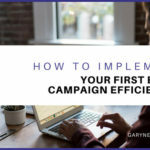 When you do this right, the potential customer will come to your site, get enough information to opt-in to your list or continue the buying cycle and eventually make a purchase. In addition to the meta description of the text, you also need to consider the meta descriptions for images as well. It is important that you add this information to your photos so that the search engines learn more about the picture. If you have a WordPress site enter the information into the image details. If you don’t have WordPress check to see which SEO tools or plug-ins your website platform or theme needs to add this information that will make your photos more searchable, useful and descriptive. 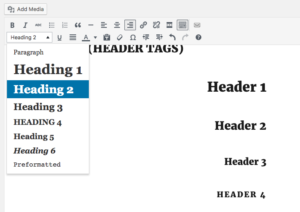 One thing you need to do with headings is added an H1(header) tag to each page and include a keyword that’s relevant to that page. Headings are also important because of the search engine bots or spiders as they are called in the industry will look for strong and appropriate headings. They will look for consistency between the heading and the content of the page. Do not ever have a page without a heading title. One thing to pay attention to when using the header is how well it correlates with the illustration of graphics of the page. Headings on your web page are just as important as headings in your other forms advertisement you want something that is going to grab the reader’s attention and get them to read further. A website that publishes good content will increase the number of visitors who find your site. Google, Bing, and Yahoo all love content. To make your content even more loveable make sure it is frequently updated. The frequency is up to you; the key is to ensure you are adding fresh, relevant content to your website on a regular basis. On top of just providing content make sure your content is relevant to your audience and speaks to them in their language. In other words, the manner in which you communicate information through your blogs or any content on your site for that matter must be in a voice that they are easily able to understand and interpret. 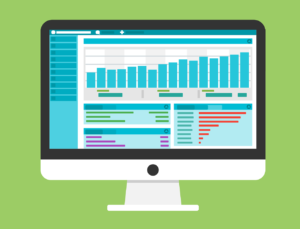 Today’s customer has unlimited resources to obtain research on a product or service, once they find your site, it would be ideal for them to conduct all of their research directly from your site, even if you have to provide unbiased information or links to other sites that contain helpful information. Have you ever thought that it is the search engines job to help their customer find what they are looking for? So with that in mind provide content that will assist the search engines to direct traffic to your site or web page within your site. If you are looking for quick ideas on how to add relevant content on a regular basis consider the following tips that will be sure to get you fresh and relevant content on a regular basis. 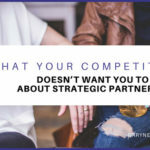 Review your top 3 competitors blogs and write down the title of the last five blog entries each one did. Select one and write on that topic, then wash rinse and repeat. Write an article on your top selling product. Write an article on your least selling product. Go to the website of an industry authority and see what is trending in your industry and write an article on that. Go through all of your product descriptions and see how you can improve them. Use your social media sites to promote your content and drive people back to your site. Make a decision that your website is going to be the authority in your industry when it comes to customers getting information on your product or service. Then create a plan and execute it. Contact your customer service department and find out what questions are being asked by your prospects and by your clients and then generate content that answers their questions. When posting content, take into consideration the user’s intent. Is it informational, navigational or transactional? Determine what it is and then create the content that addresses the searcher’s needs. Now that your mind has been stretched and you have a whole new way of looking at your website take a step back and soak in all of this information. Once you do, come back and read this article again and then start taking action. As you begin to make adjustments and changes to your site, you will start to see your website evolve and before you know it you will be ranking high in the search engines, and you will also be seeing higher conversion rates before you know it. In a future post, we will expound more on advanced link-building strategies to help your site gain more traction on the search engines.